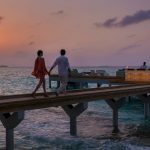 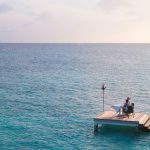 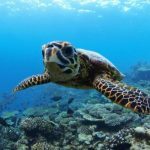 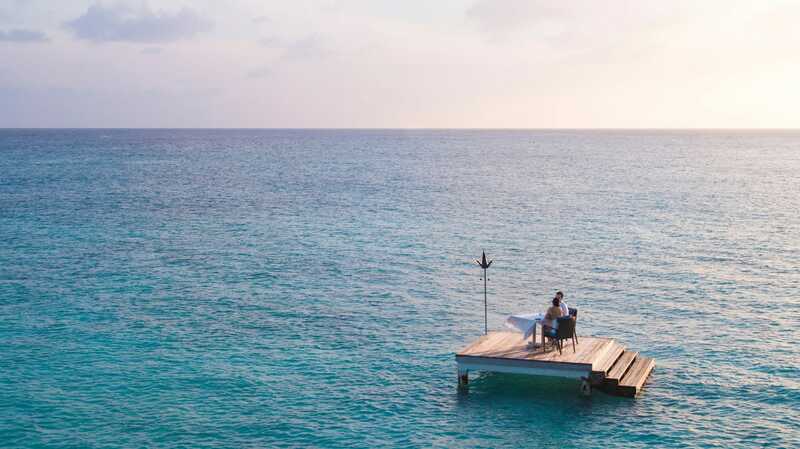 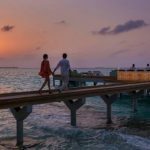 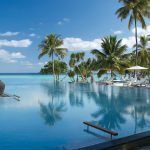 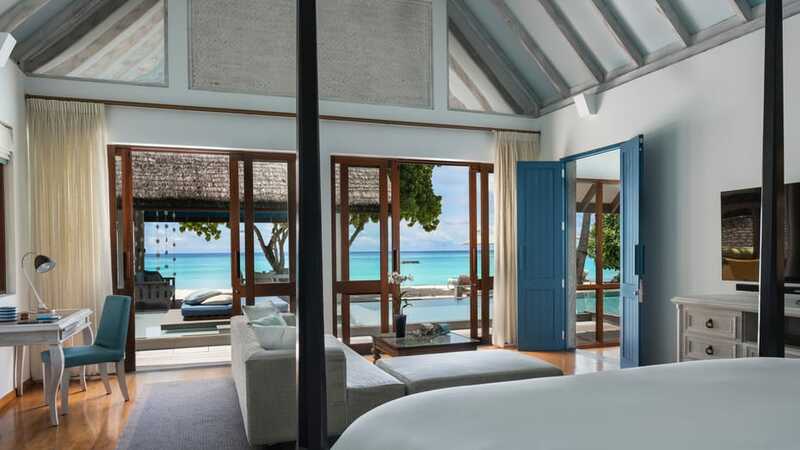 Four Seasons at Laanda Giravaru is an idyllic paradise that flourishes under the gentle care of the staff who look after the marine life. 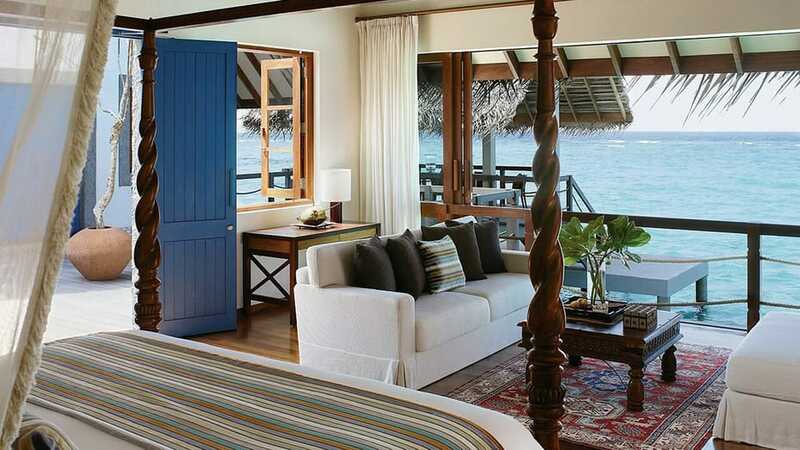 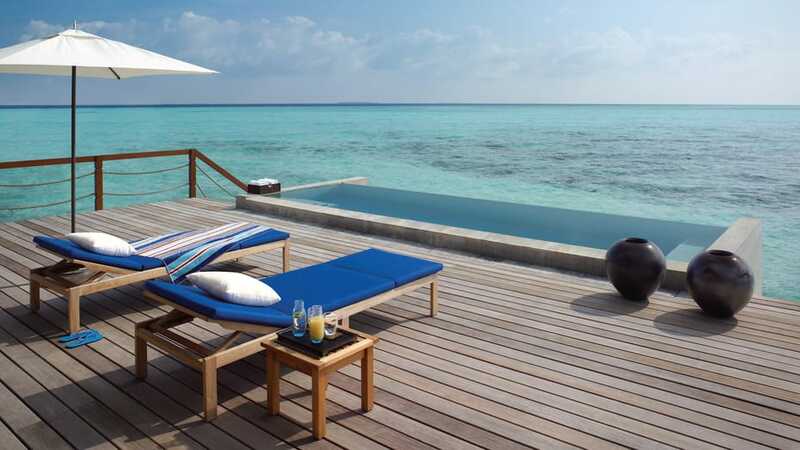 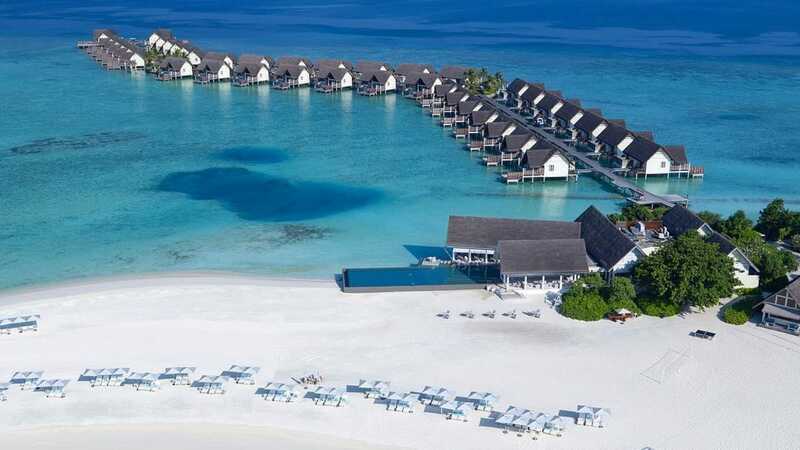 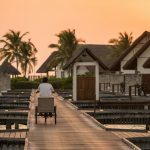 This resort draws from traditional Maldivian culture with charming thatched roofs and timber furnishings. 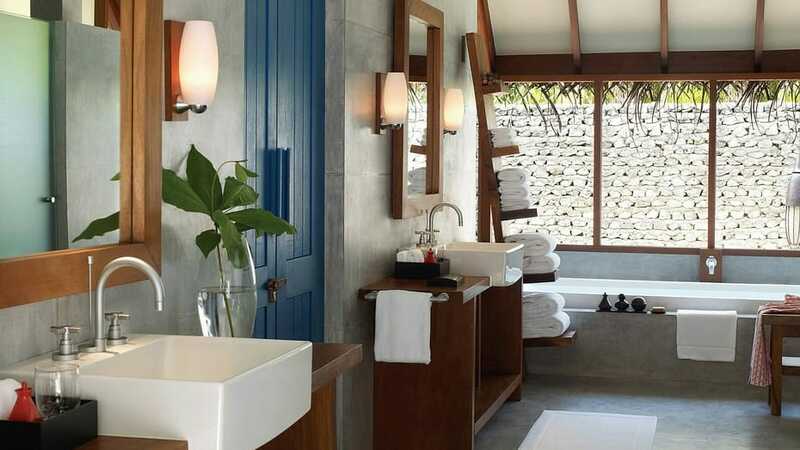 However, the interiors are lavish, comfortable and modern. 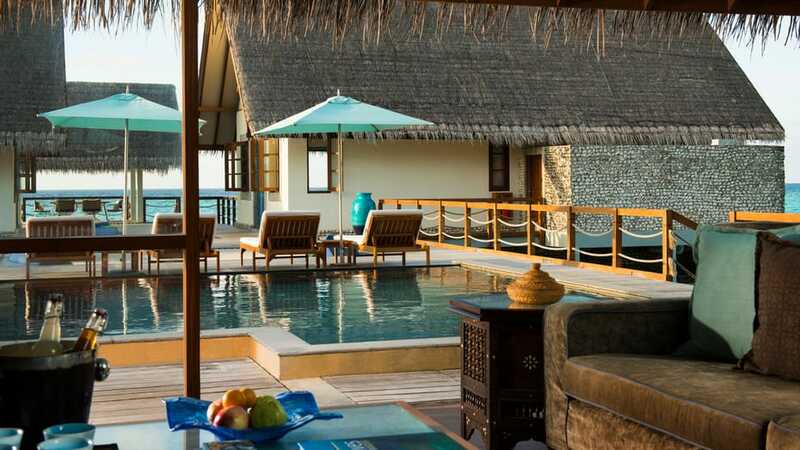 These gorgeous villas are perched above the glittering waters of the lagoon offering beautiful sunset ocean views. 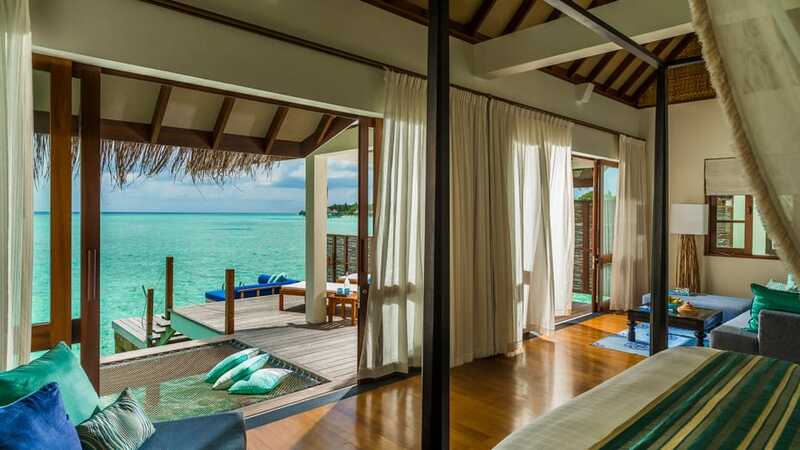 These villas feature one full bathroom and two outdoor showers, a private pool and sea gazing loft space. 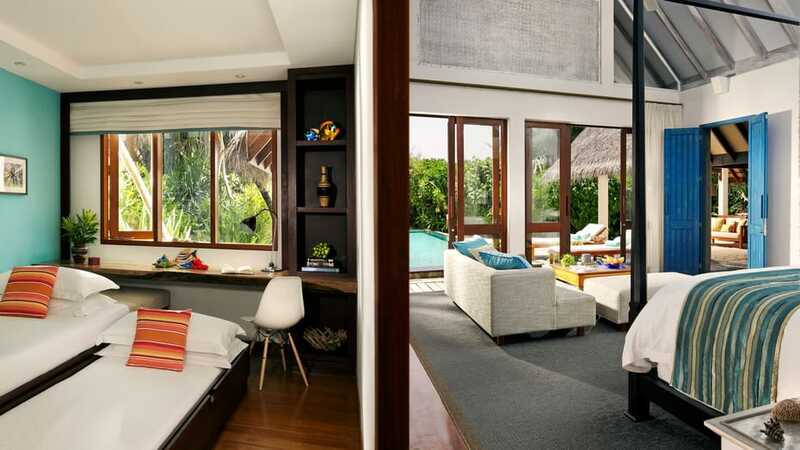 You can truly unwind and slow down to lagoon living in this easy paradise. 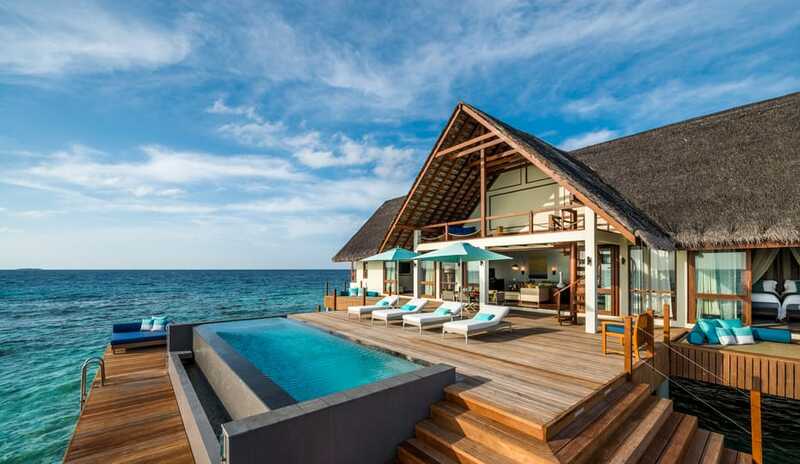 The villa can house three adults and one child or two adults and two children. 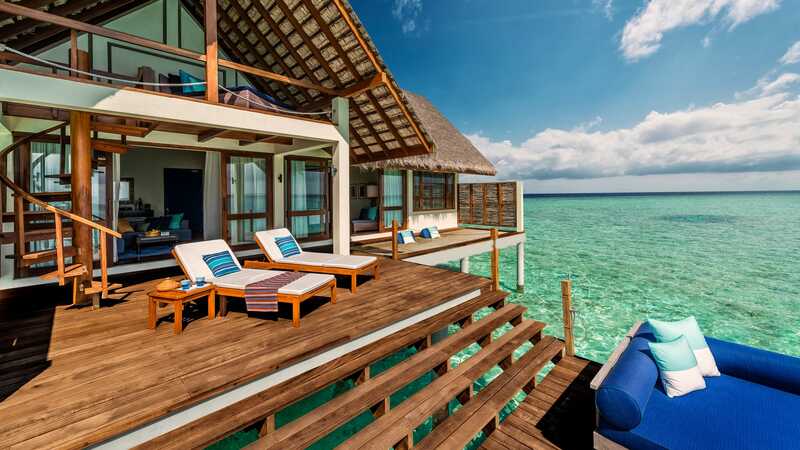 These gorgeous villas are perched above the glittering waters of the lagoon offering beautiful sunrise ocean views. 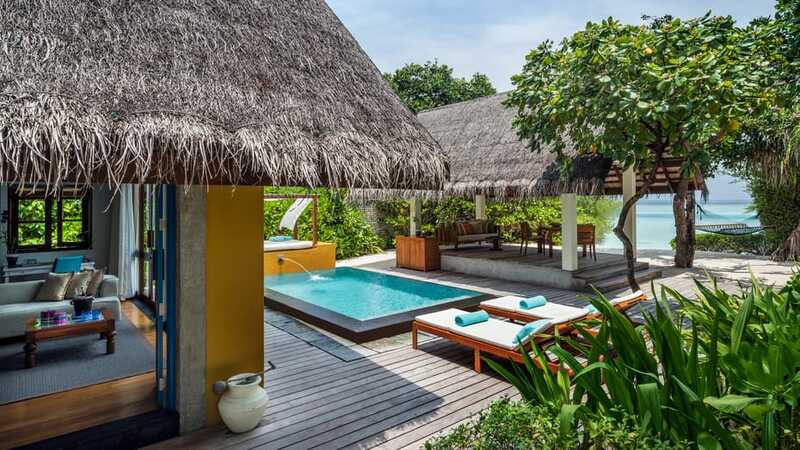 These villas feature one full bathroom and two outdoor showers, a private pool and sea gazing loft space. 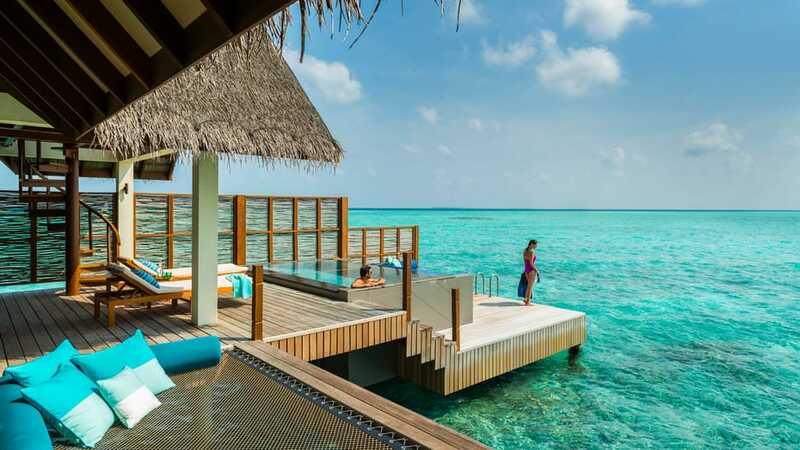 You can truly unwind and slow down to lagoon living in this easy paradise. 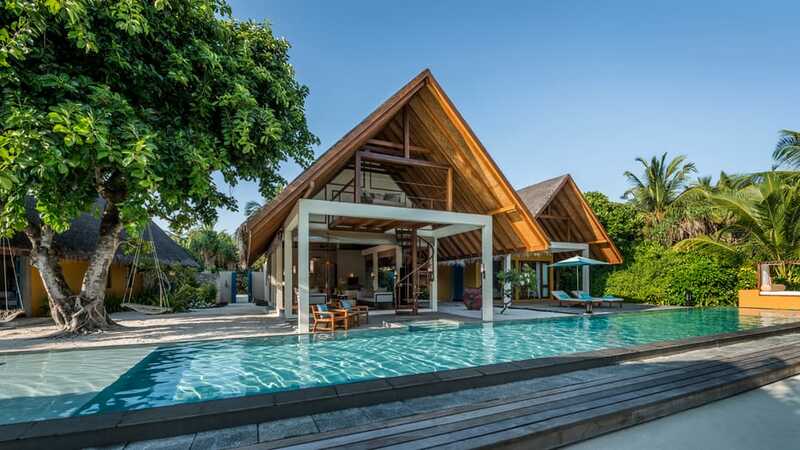 The villa can house three adults and one child or two adults and two children. 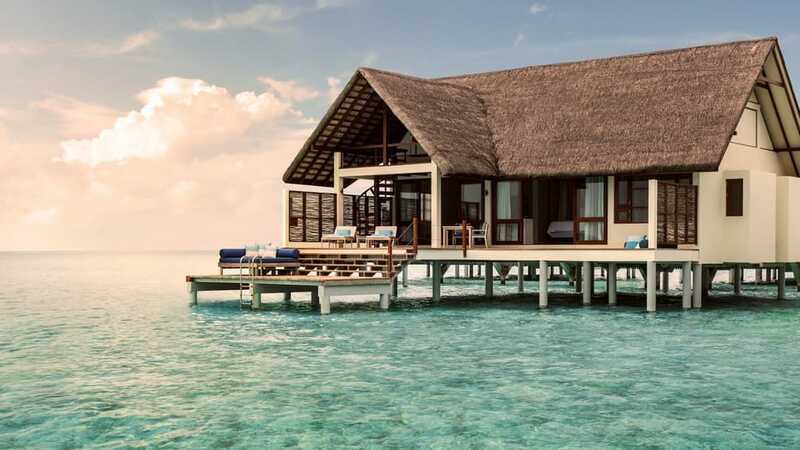 These gorgeous villas are perched above the glittering waters of the lagoon offering beautiful sunset ocean views. 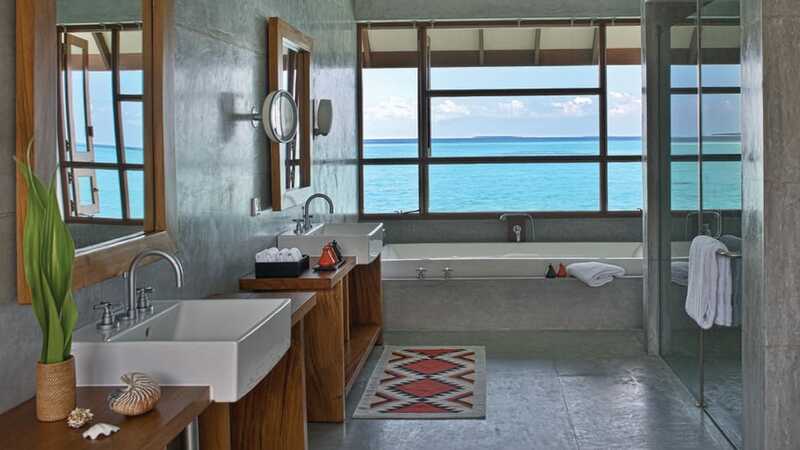 These villas feature one full bathroom and two outdoor showers and a calming sea gazing loft space. 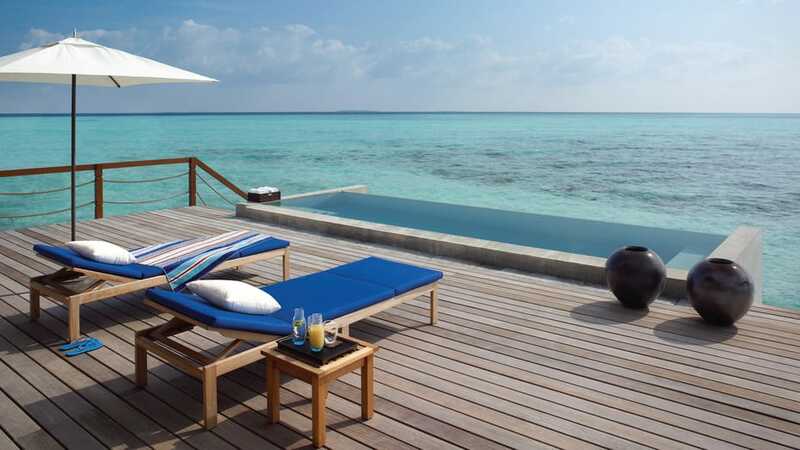 You can truly unwind and slow down to lagoon living in this easy paradise. 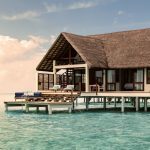 The villa can house three adults and one child or two adults and two children. 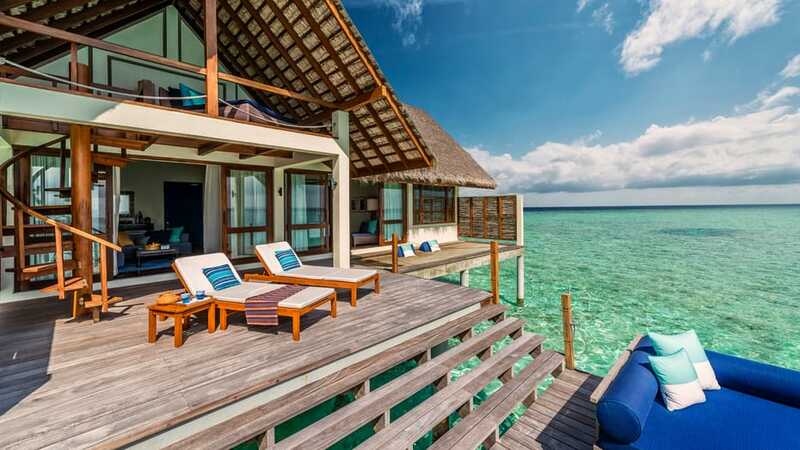 These gorgeous villas are perched above the glittering waters of the lagoon offering beautiful sunrise ocean views. 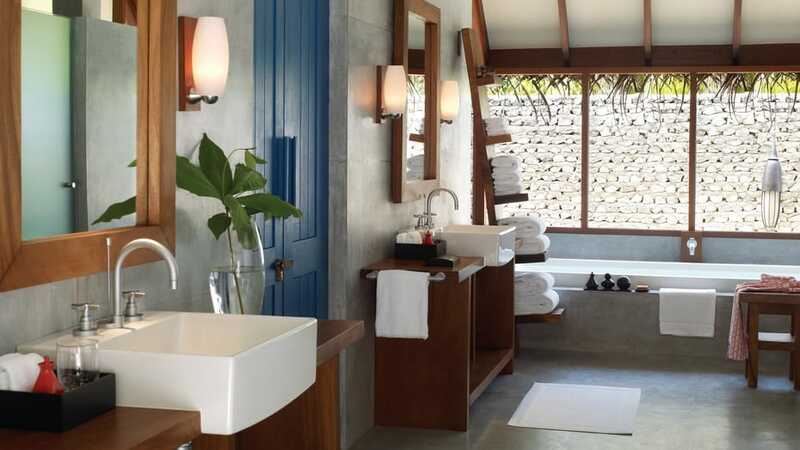 These villas feature one full bathroom and two outdoor showers and a calming sea gazing loft space. 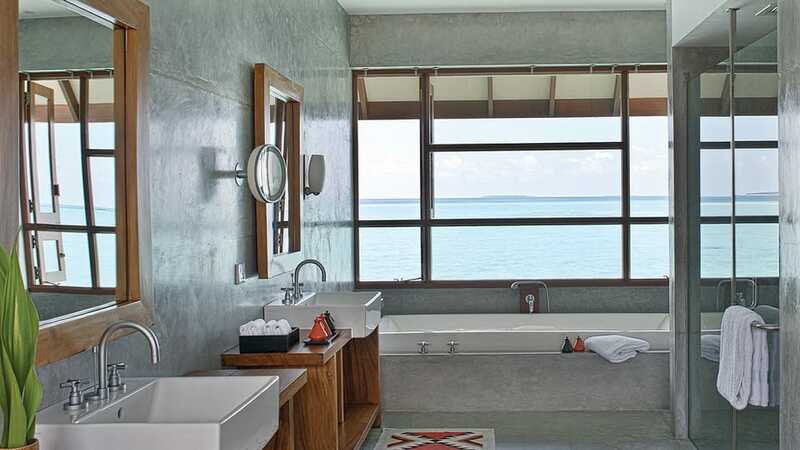 You can truly unwind and slow down to lagoon living in this easy paradise. 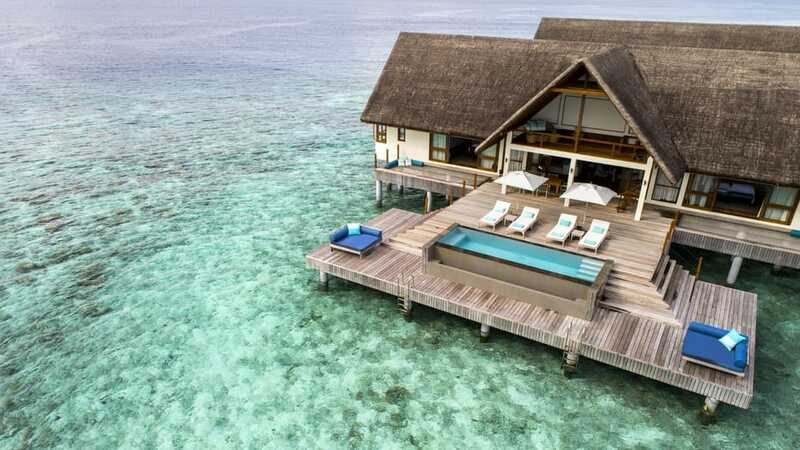 The villa can house three adults and one child or two adults and two children. 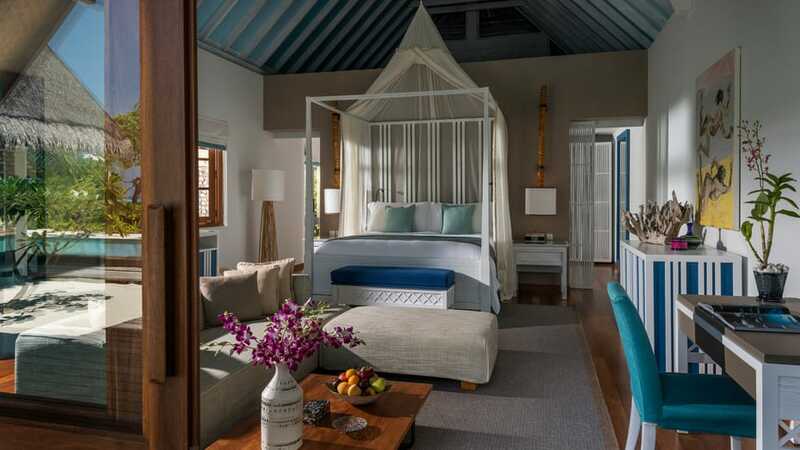 Walk off the white sandy beach and through a turquoise gate to come home to your walled Beach Villa, hidden in the tropical jungle, where next to your private pool is a cushioned daybed, an open-air living and dining pavilion, and an island-style bedroom. 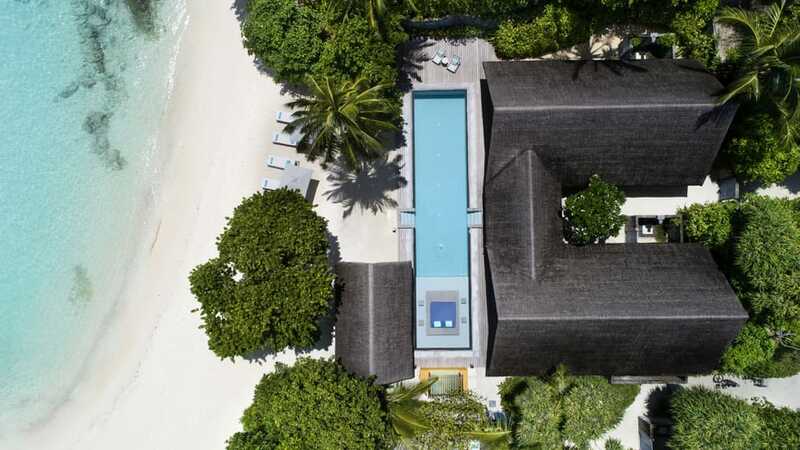 Offering privacy and space, whether its a morning walk along the sand or watching the sunset over the ocean this villa is the place to create timeless memories. 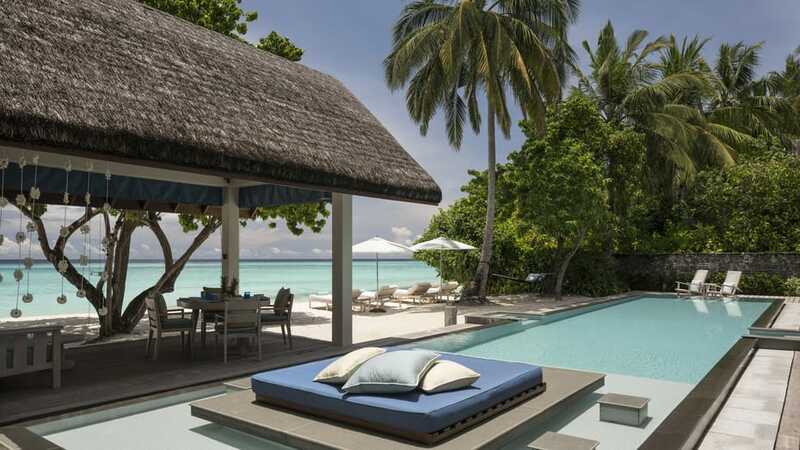 With uninterrupted ocean views, an indulgent private pool and direct access too the powder white sands of the beach this bungalow is a little slice of paradise. 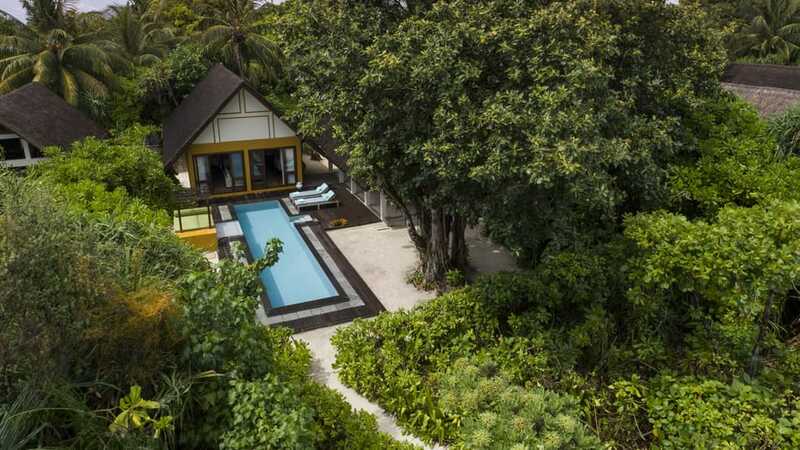 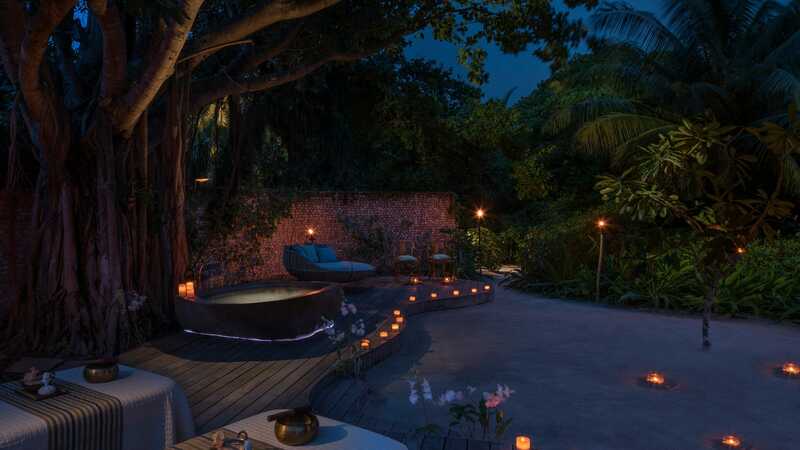 To create a natural privacy the bungalows are hidden nestled away in the lush tropical foliage. 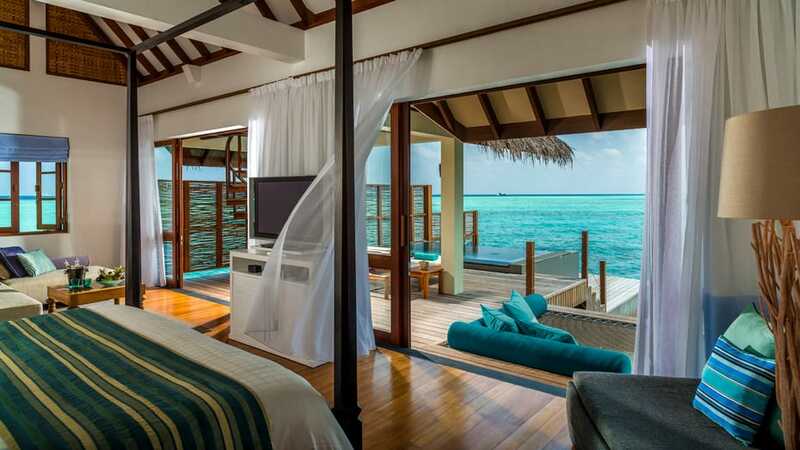 You’ll fall asleep to the waves lapping on the shore and wake up to the gentle birds chattering. 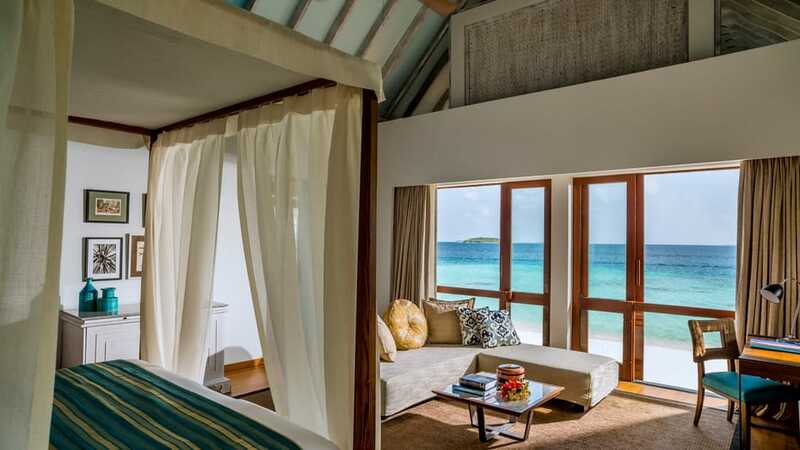 This idea truly the epitome of beach living. 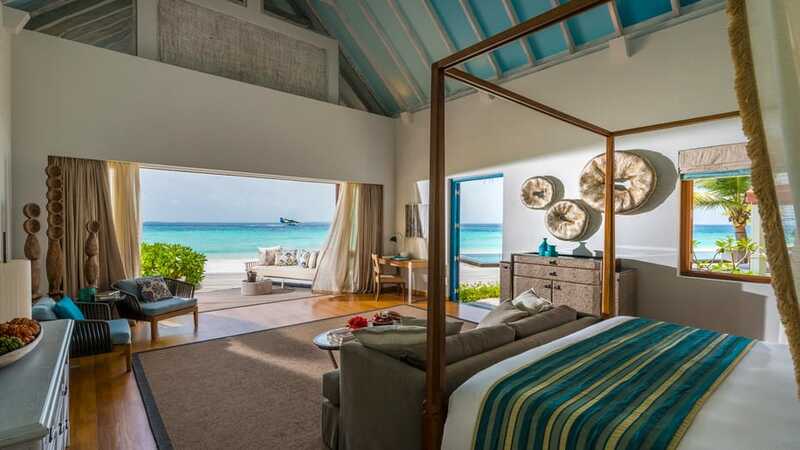 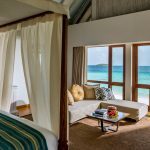 Just steps from the glittering blue lagoon, this family-friendly Beach Villa features a generous bedroom and living area, a separate study with two twin beds and a sand-floor, living and dining pavilion that stretches out to a private pool and sun-kissed deck. 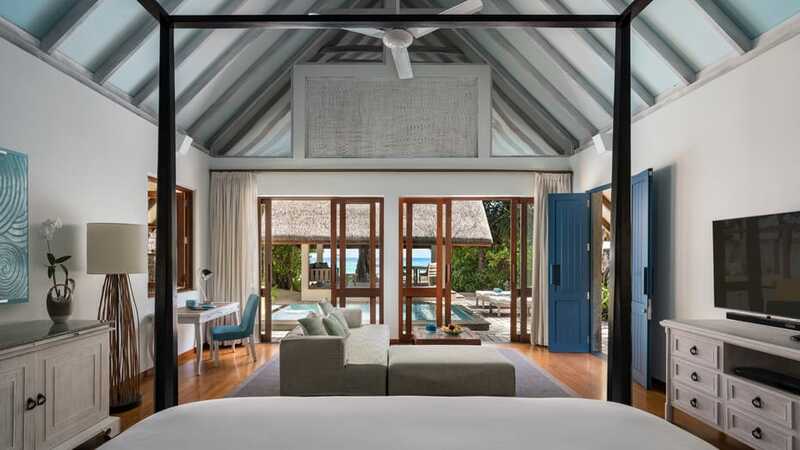 Perfect for couples travelling together or families with older children, these beachfront bungalows feature two separate bedrooms linked by a corridor, with a generous private pool and a thatched-roof, open-air bale as your living and dining area bringing people together. 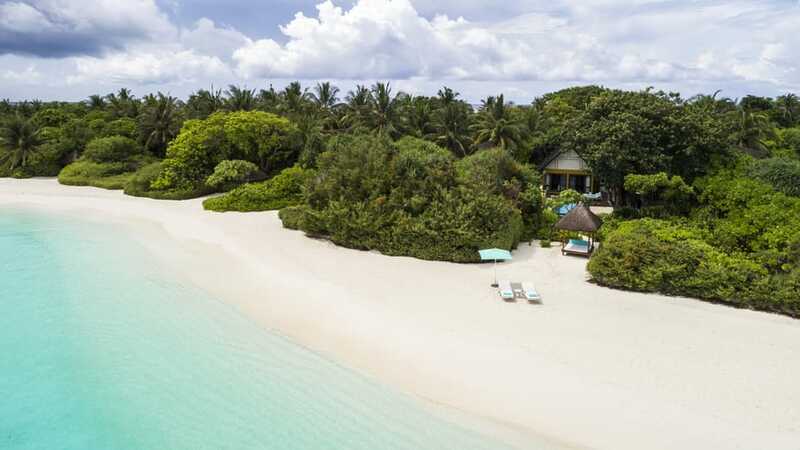 This private slice of paradise is the perfect place to make life-long memories. 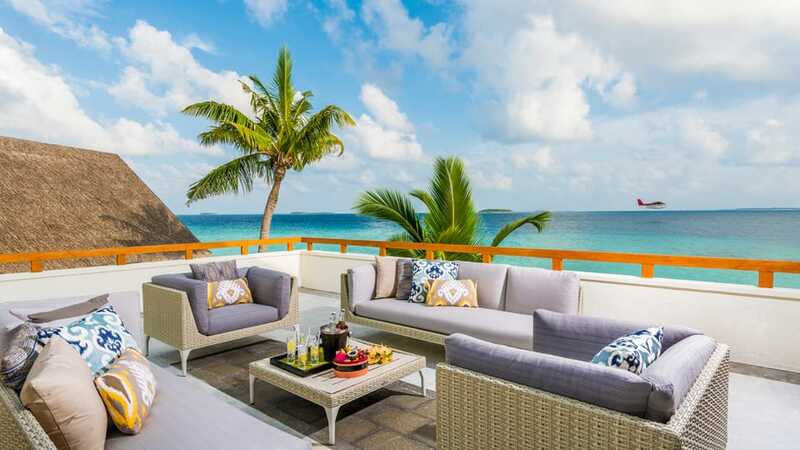 Ideal for getaways with family or friends, this three-bedroom, the two-storey estate features a private stretch of white-sand beach, two indulgent pools, a cosy Stargazing Lounge and indoor-outdoor living spaces that creates your own private paradise. 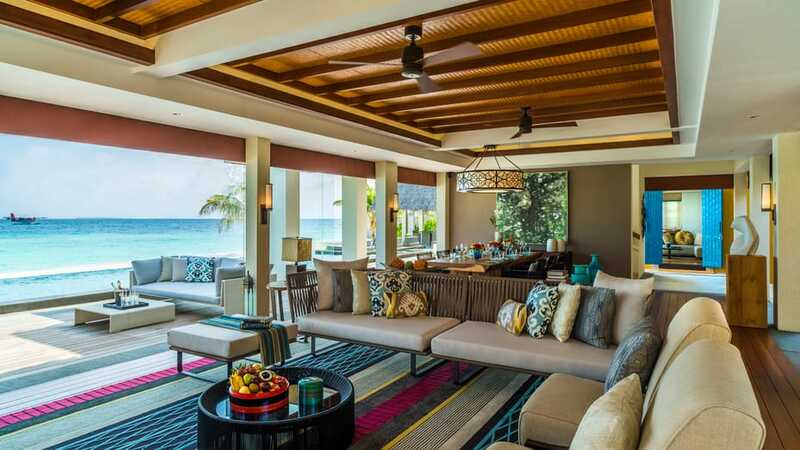 The estate even has its own full kitchen and sprawling sun-kissed deck. 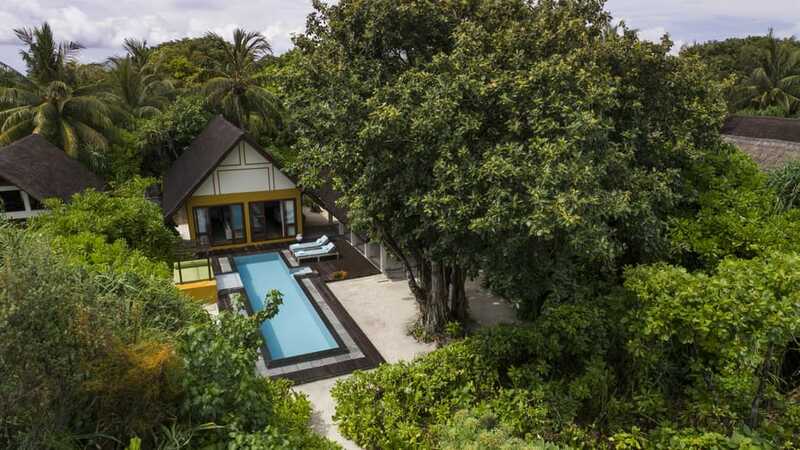 The estate can house six adults and five children. 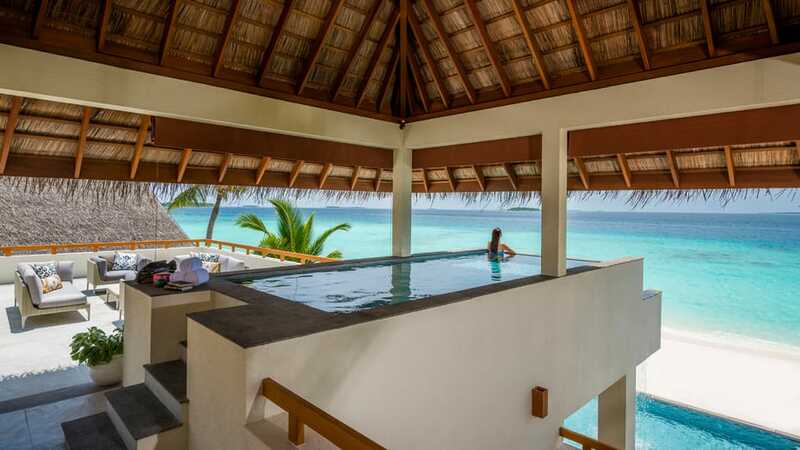 If you can’t decide whether to stay on the beach or over the water don’t worry because you can have both. 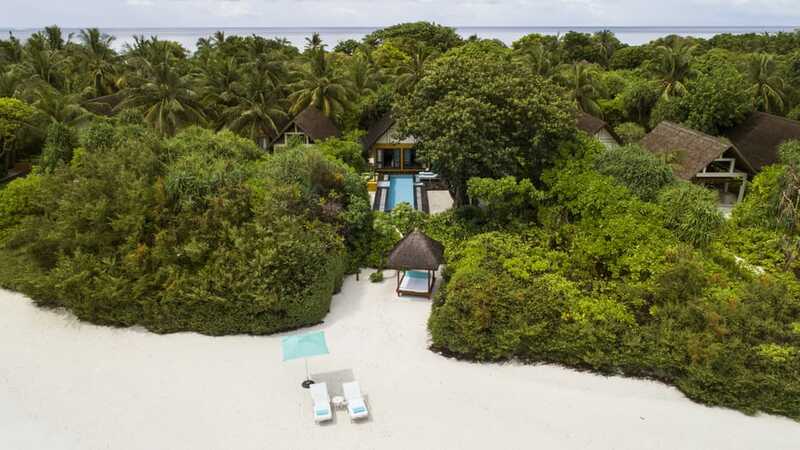 Hidden down its own sandy, jungle-lined path, this expansive suite features land-based living areas and three lagoon-based bedrooms, nestled in one of the most private locations on the island offering complete seclusion. 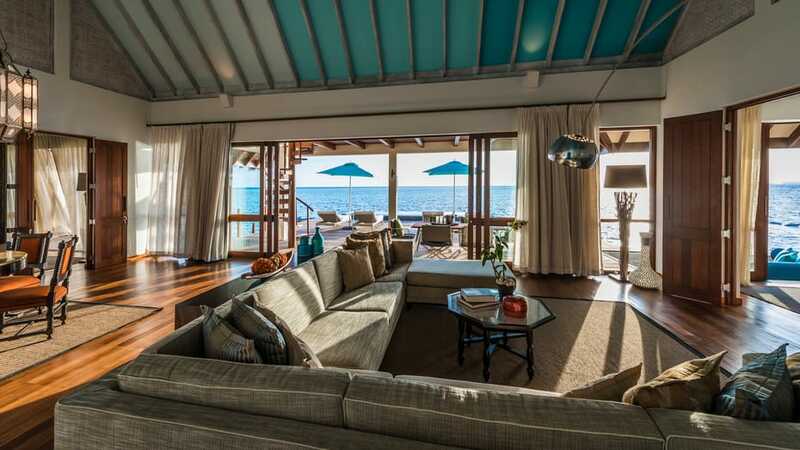 With panoramic views of the ocean, this villa can house nine adults or six adults and three children. 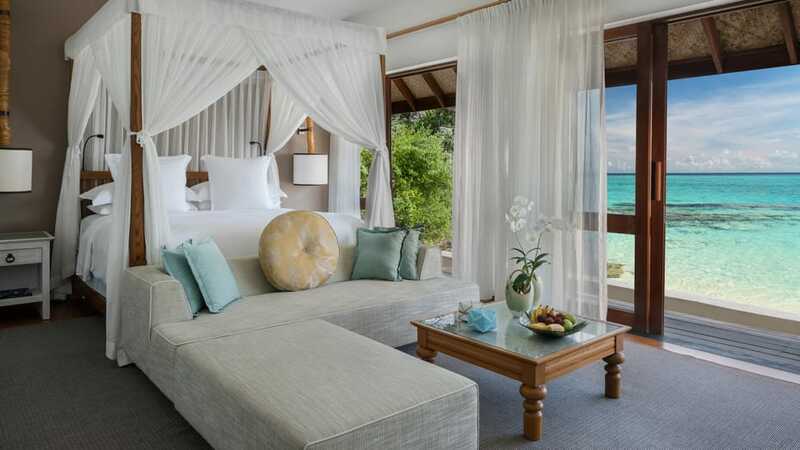 Just steps away from the idyllic beach this two-bedroom villa features a palatial, master-bedroom pavilion, a separate guest bedroom and a central, open-air, living and dining room with space to spare. 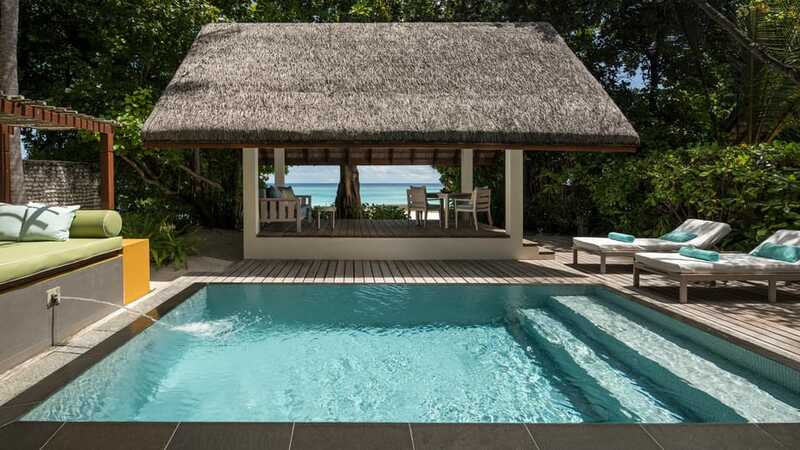 This villa features a private pool, sea-gazing loft and outdoor shower. 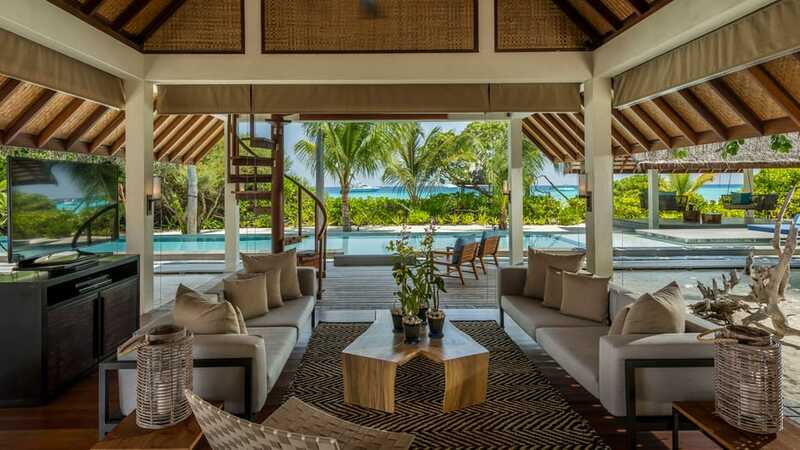 The villa can house six adults or four adults and two children. 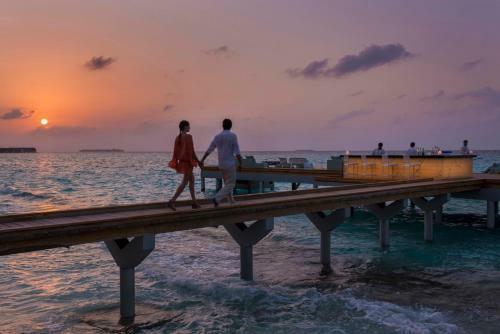 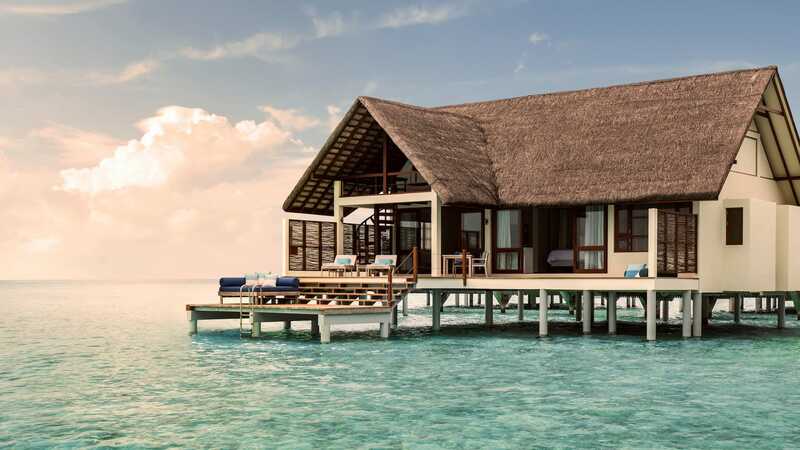 At the far end of the water-villa jetty, this two-bedroom suite lets you enjoy the ultimate seclusion next to the uninterrupted lagoon and sunset views from your sprawling pool deck, the sea-gazing loft, the dining and lounging areas, or from the foot of your bed. 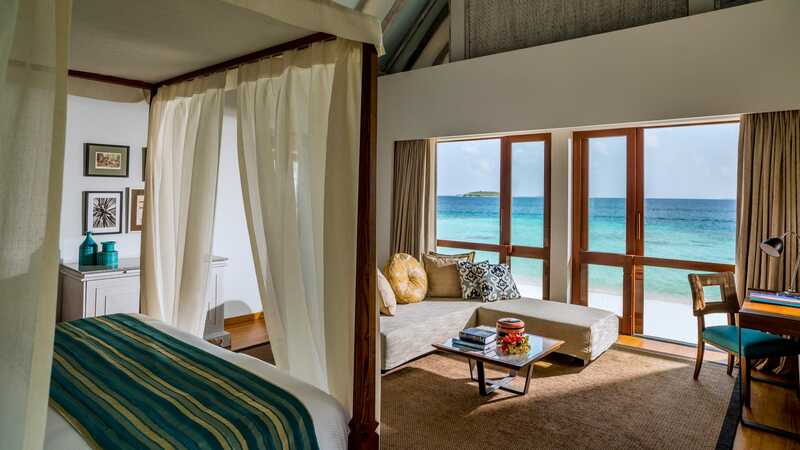 This beautiful suite features direct lagoon access, indoor and outdoor dining areas, and three outdoor showers. 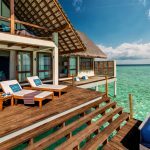 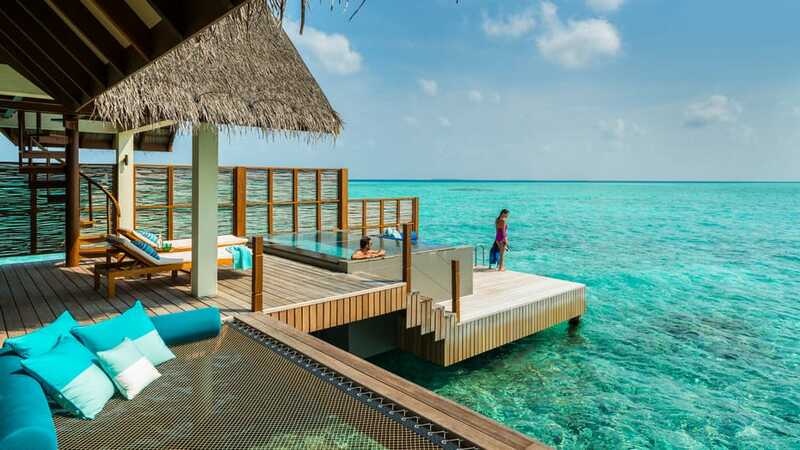 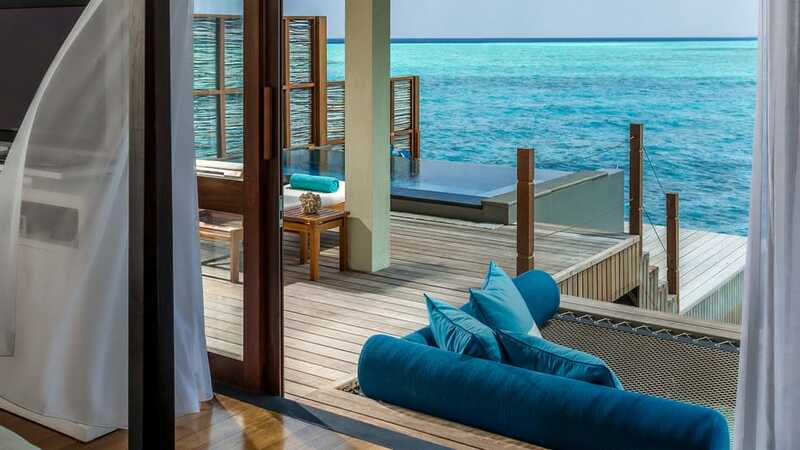 At the far end of the water-villa jetty, this two-bedroom suite lets you enjoy the ultimate seclusion next to the uninterrupted lagoon and sunrise views from your sprawling pool deck, the sea-gazing loft, the dining and lounging areas, or from the foot of your bed. 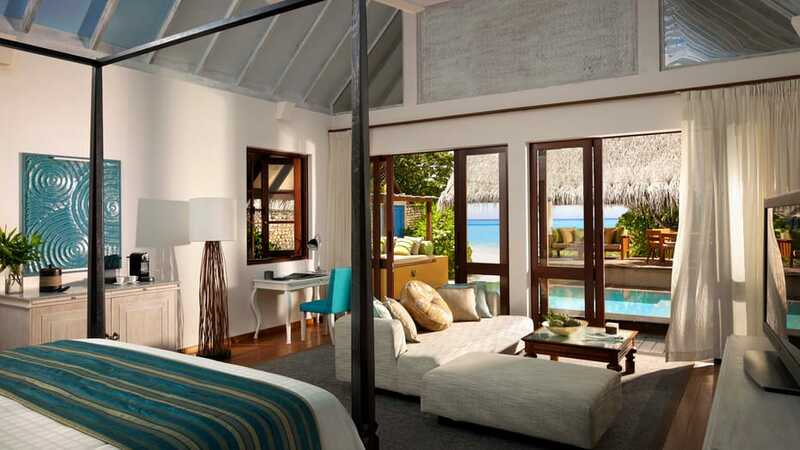 This beautiful suite features direct lagoon access, indoor and outdoor dining areas, and three outdoor showers. 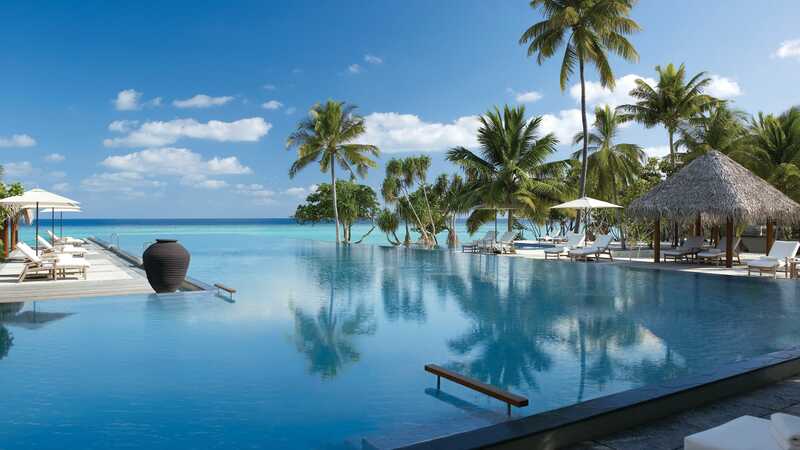 On the island, there are four separate pools, the main infinity pool is at the heart of the island, but the resort also features the only Olympic sized pools. 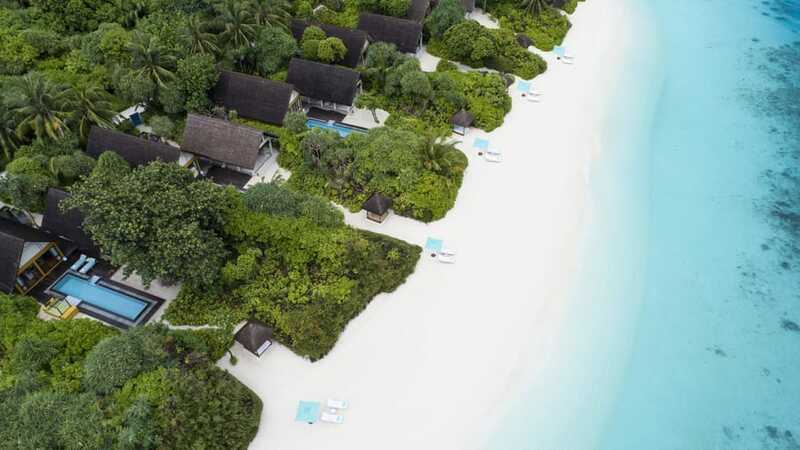 The resort is home to a pioneering on-island research centre led by an expert team of marine biologists. 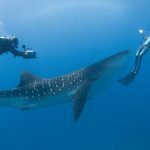 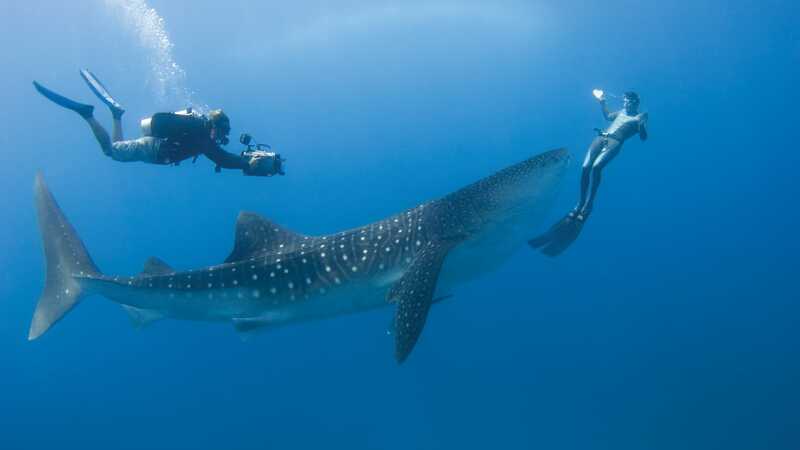 This gives guests the opportunity to experience once-in-a-lifetime moments meeting a variety of marine creatures. 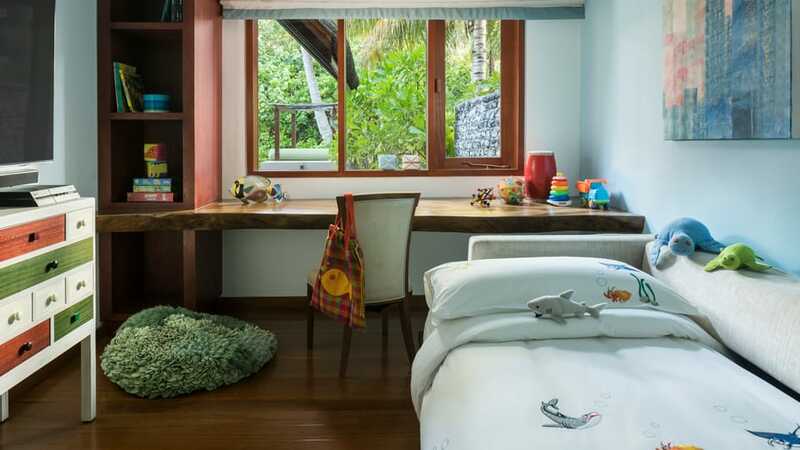 Guests can learn about wildlife and participate in the resort’s conservation projects. 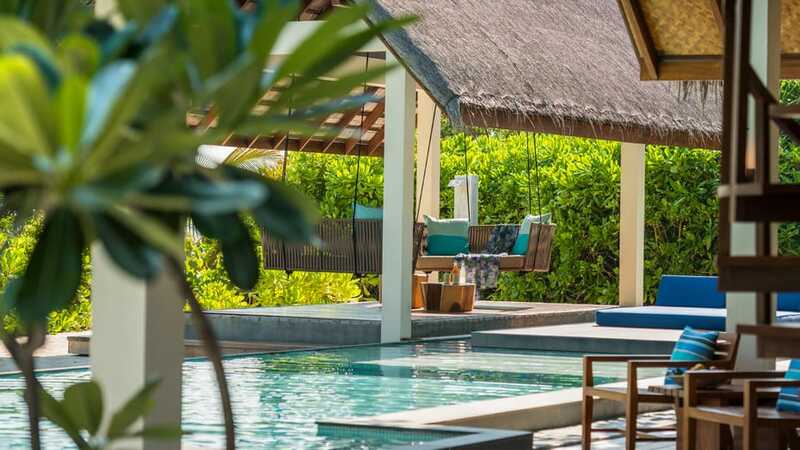 The resort is home to a five-star PADI certified diving centre with a team of expert instructors ready to help you explore the underwater world. 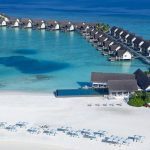 A haven for thrill seekers the water sports centre offers a range of activities to excite the adventurous from sunrise snorkelling to windsurfing there is something for everyone to get involved with. 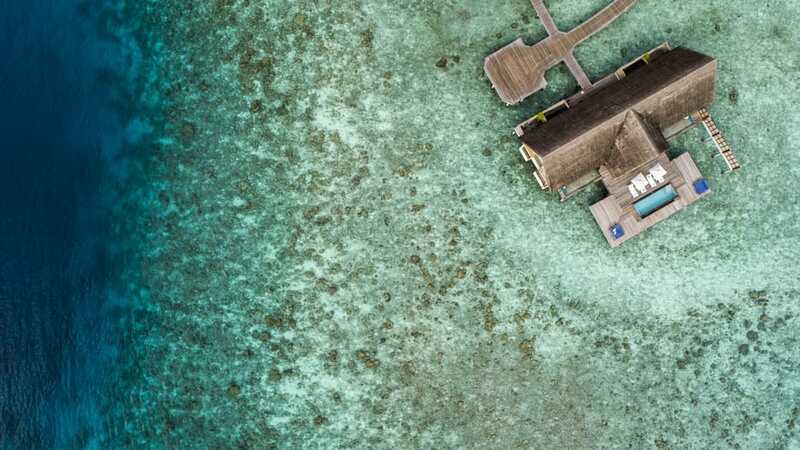 The resort is home to the world’s only three-person deep submarine. 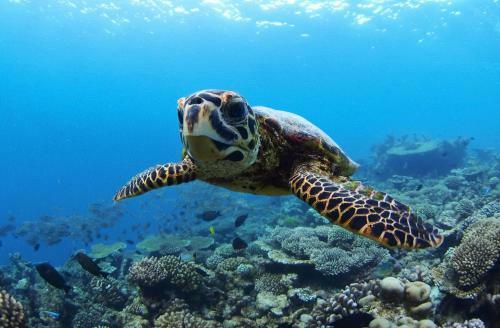 Take a trip underwater to view shoals of vibrant fish, sharks and more from the dry safety of the Super Falcon 3S. 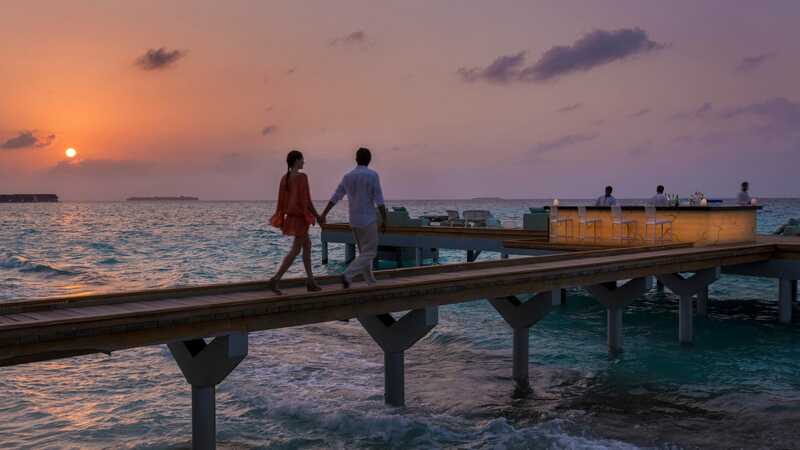 The resort is home floodlit tennis courts and even an onsite-tennis pro to teach you some new moves. 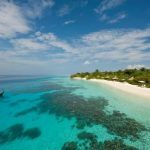 This three-deck liveaboard catamaran is the perfect way to spend an afternoon exploring the two four-season Maldives resorts. 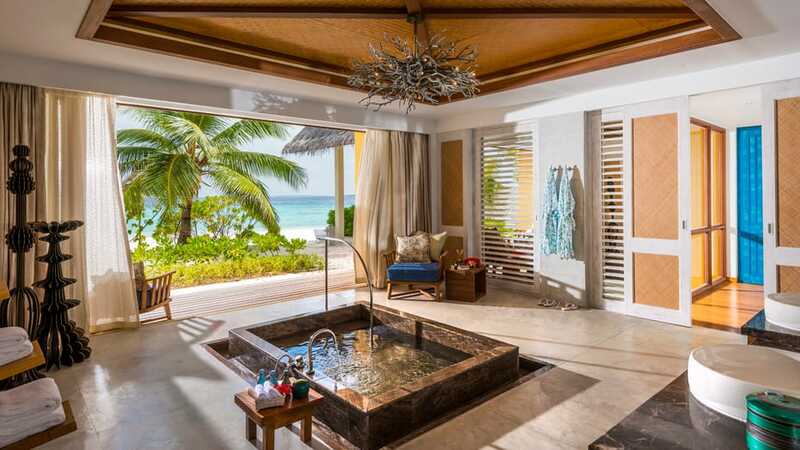 This excellent world-class spa offers a range of impeccable treatments and rejuvenating packages targeting mind, body and soul. 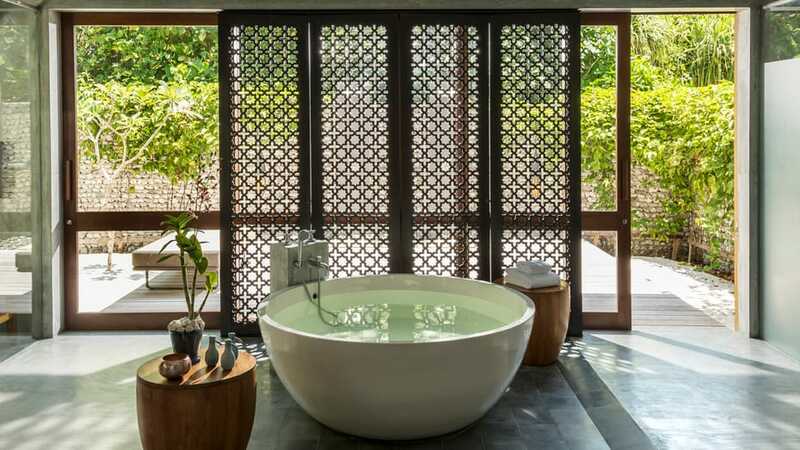 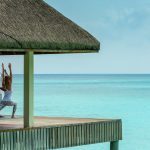 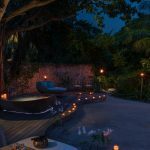 Here you can find ultimate peace with bespoke services and tranquil experiences including anti-gravity yoga, Ashtanga Vinyasa, Aqua yoga, reconnection rituals, tantric traditions, chakra blessings and more. 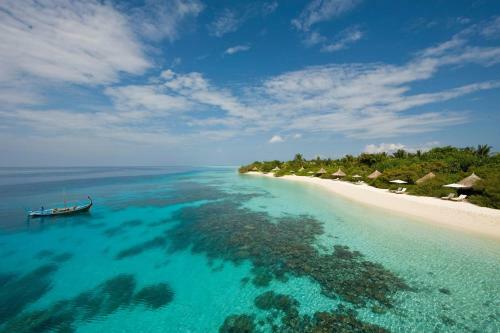 Named after the North African scholar who made the Baa Atoll his home in the 12th century. 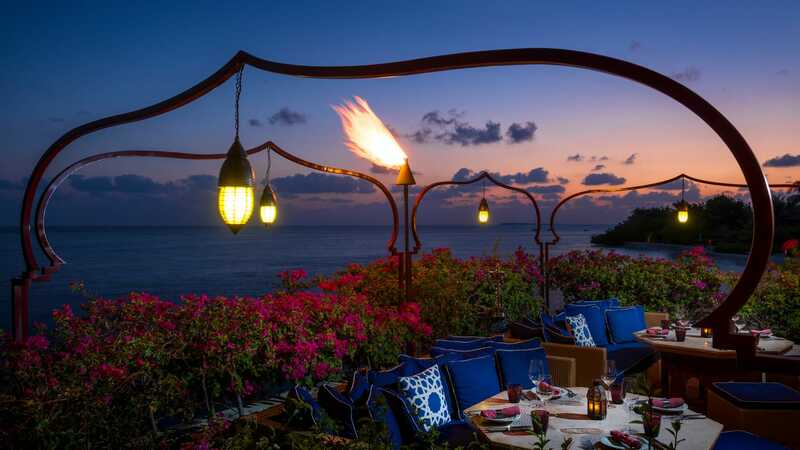 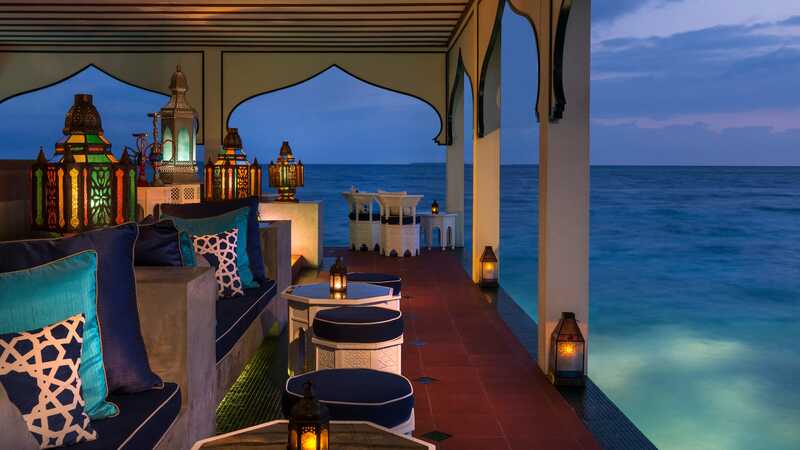 The overwater restaurant features stylish indoor and outdoor dining serving flavours from Lebanon, Morrocco and Armenia. 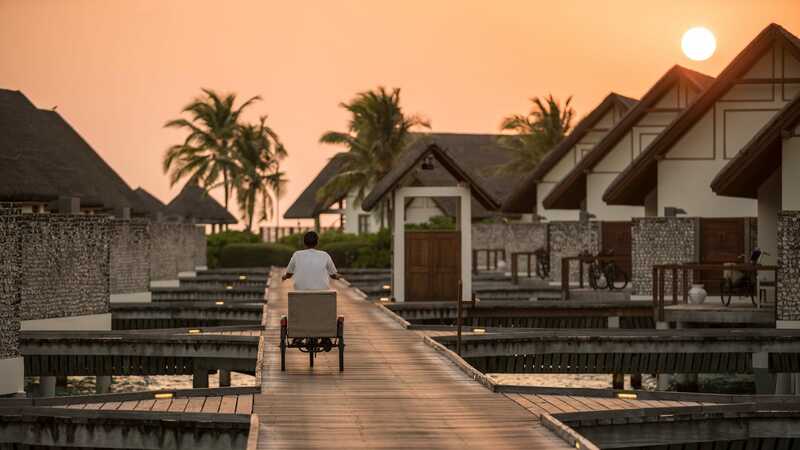 Made up of three thatched-roof pavilions separated by tranquil reflection ponds this calming sport serves Asian and regional specialities from the tandoor and curry kitchen. 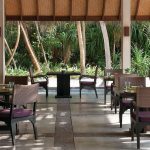 This beachfront grill serves hearty fresh food in a laidback atmosphere, perfect after an adventure packed day exploring the island. 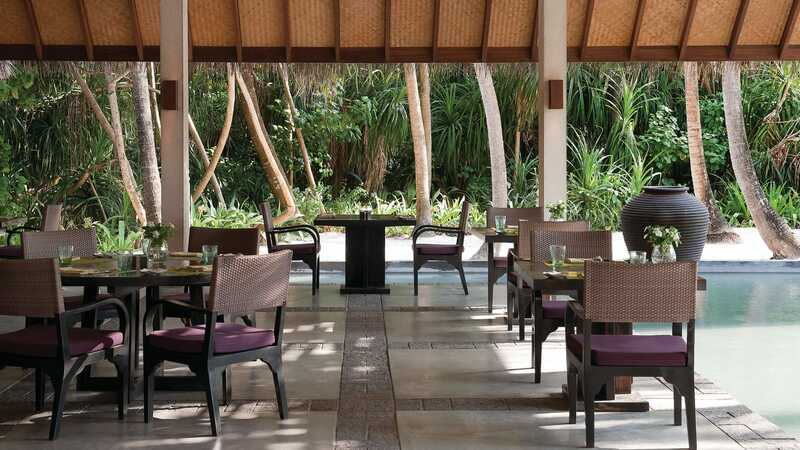 The perfect spot to sip exotic juices, tropical cocktails or refreshing coconut drinks. 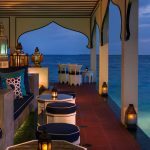 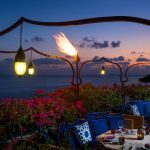 Perched over the blue lagoon on the lower level of Al Barakat this pre-dinner spot is perfect for watching the waves roll over the sand whilst you sip your pre-dinner aperitif.